In 2006, Haya Tedeschi, an elderly lady, sits at home in Gorizia, near Trieste, surrounded by piles of papers and newspaper clippings. The mounds of paper scattered on the floor all have to do with the events of the war, stories of atrocities and biographies of some of the heroes and villains of the era. It may seem to be history to many people, but for Haya the war is still very real. The writer takes us carefully through the first part of the 20th century until we reach the main focus of the novel, the Second World War. It is here that Haya meets SS officer Kurt Frank and has a secret affair. The result of the relationship is a son, Antonio Tedeschi – a boy who one day goes missing, leaving his mother with a sixty-two year wait for his return. Trieste is a heavy book on a weighty subject. Drndić uses the novel to discuss what happened during the war in and around the title city, an area many people would know little about. We learn about the death camps in the region and the men who ran them (and what happened to them after the war…). We read about the post-war trials and how some of them were conducted in the absence of the accused, empty procedures which had no consequences. In short, we are reminded of the past, a past which the writer wants to make sure is not forgotten. Eventually, the focus shifts to the Lebensborn project, a Nazi plan to ensure the dominance of their Aryan super race. Homes were opened all over the German Reich, where suitable women gave birth to children who were then to be brought up in a manner deemed fit for the heirs of the master race. When Himmler realised that the numbers weren’t impressive enough, he decided to order the removal of suitable children born to inferior races in the region (including little Antonio Tedeschi…). So you didn’t feel the camp inmates were people? Possibly not. It’s a worthy book on an important subject, but it wanders a little (OK, a lot), and I was never quite sure what the focus was meant to be. The last section, centred on Hans Traube and his search for the truth, is excellent, and I would personally have preferred a much narrower focus on the Lebensborn project. Despite what I said above, I think it has a good chance. I don’t think I’m the best judge of literature dealing with the Holocaust, and other readers seem to appreciate books like HHhH and Trieste a lot more than I do. I suspect that one of those two will make the cut, and this one is much weightier and better written. Reading this at the moment but have not read enough to agree or disagree with you yet so will revisit this theb. Really enjoying your IFFP coverage (but only just got round to commenting on anything!). 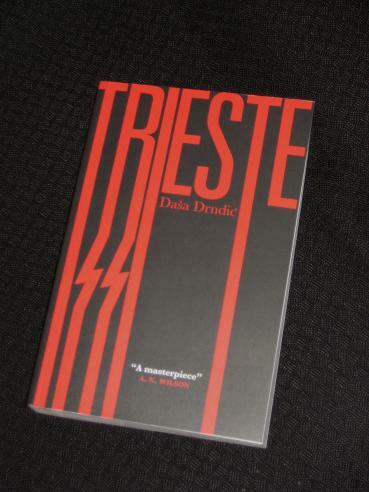 Trieste was the one novel I added to Stu's excellent guess at the long list. I agree with your comments about lack of focus but I prefer this novel's 'faction' techniques to HHhH. Like you I think there's only room for one Nazi novel on the shortlist – I suspect this might make it for earnestness (is that word?) alone. Stu – Well, there's nothing to stop the panel from choosing both for their shortlist (apart from my threatenting to have a hissy fit if they do! ).